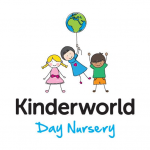 Kinderworld is located in Knyveton Road, Bournemouth and is a privately owned, family run nursery. Kinderworld Day Nursery - "A World of Difference in Childcare"
Below are the latest reviews for Kinderwo. Please note that reviews represent the subjective opinions of other Childcare.co.uk users and not of Childcare.co.uk. Parents must carry out their own checks and references on childcare providers to ensure that they are completely happy before enaging in the use of their services. My daughter has been attending for just over a year now and LOVES it! The girls are never too busy to talk to parents and attend to the numerous amount of creams my daughter has to have applied daily. The food is healthy and substantial and every allergy is catered for and monitored. I love to have the parents reviews and see my Daughter file but know that if I wanted to I can see her progress at any time, I just need to ask! I feel happy in the knowledge that my little one is safe, happy and looked after well at Kinderworld. Both our children go to Kinderworld and they are incredibly happy there. There is an emphasis on learning in a creative and fun way. They are always doing things I would never think of, even simple things like seeing ice melt is made fun by putting dinosaurs in ice cubes. The ideas and activities are fantastic. The resources and equipment are great, like a brand new home area and kitchen. The outside space is lovely and has a play area, with a mud kitchen, pirate ship, tree house, swings and vegetable patch. The staff are warm and friendly and keep us updated on what our children have been doing and what they will be doing over the next week or so. We also get emails of the learning observations, photos and general nursery updates. We couldn't think of a better Nursery for our children.